Shanghai - China struck deal after deal to acquire companies abroad over the last few years. Now the bill is coming due. The nation’s top corporate dealmakers, including HNA and Fosun International, must pay off the equivalent of at least $11.5 bn in bonds and loans by the end of 2018 - a feat now complicated by government efforts to rein in their aggressive rush overseas. That figure represents just a fraction of the total debt of 1.1 trillion yuan that the Chinese companies have reported as they projected their money and influence around the world with a record number of acquisitions. The size of their obligations - and whether they will be able to shoulder them - has begun to worry global banks and investors now that Beijing has pressed companies to dial back their ambitions abroad. The moves threaten to end an era of easy access to money for the firms. People familiar with the matter said last month that China Banking Regulatory Commission asked some banks to provide information on overseas loans to HNA, Fosun, Anbang Insurance and Dalian Wanda. Yields on some bonds issued by the firms jumped. The CBRC is examining examples of acquisitions gone awry to assess potential risks to the financial sector, people familiar also said. To be sure, the companies, which are among the biggest private-sector firms in China, are sitting on a cash pile that they can tap to meet upcoming debt deadlines. They have more than 400 billion yuan of cash and cash equivalents, according to the latest filings compiled by Bloomberg. “Fosun has a variety of financing capabilities which not only include bond issuance, but also bilateral and syndicated bank loans, capital market financing, management fees, operating income and divestments from our global platform,” said David Wu, head of investor relations. A representative at Wanda declined to comment. There was no immediate reply to a request for comment from Anbang. Debt markets that were eager to dish out funds have helped fuel more than $310bn of overseas acquisitions by Chinese companies since the start of 2016. Borrowers are now waking up to a hangover. The top dealmakers face rising bond and loan maturities in the next three years, according to Bloomberg-compiled data. 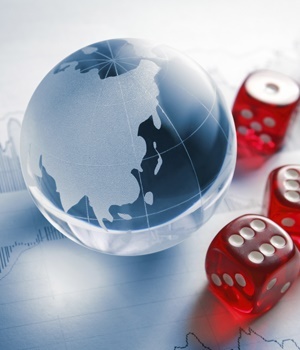 JPMorgan Private Bank in Asia and Baring Asset Management are among market participants warning that regulatory risks mean investors need to be more cautious. The new debt has ballooned the firms’ balance sheets. A local bond market rout that began at the end of last year means the cost to refinance some of those liabilities has risen. Add to that the uncertainty of rising regulatory risks, and some investors are getting cold feet. “We are waiting to figure out where those noises are leading to, before investing,” said Sean Chang, head of Asian debt investment at Baring Asset Management. The companies’ high leverage is a key concern, according to Christopher Lee, managing director of corporate ratings at S&P Global Ratings. The companies have at times turned to financing channels that don’t require the level of public disclosure that bond markets do. In one recent example involving a form of shadow financing, HNA Group was seeking trust funding in the local market last quarter for at least 4.5 billion yuan, according to Lawrence Yu, founder of Totodi Technology, a provider of regulatory compliance services to trust firms, private equity companies and asset managers in China. The firm was offering rates as high as 7%, higher than the average rate on such deals in the nation, according to Yu. “We would tend to be conservative and avoid those companies that could potentially suffer from headline risks arising from central government policies and initiatives,” said Todd Schubert, head of fixed-income research at Bank of Singapore, the private banking unit of Oversea-Chinese Banking. The changes mean that investors can no longer rely solely on analysis of fundamentals, relative value and technicals, according to Raymond Chia, head of credit research for Asia ex-Japan at Schroder Investment Management in Singapore. “Now, the regulatory aspect surrounding Chinese companies, which is always an unknown, is taking on a larger life form and posing higher risks,” he said.